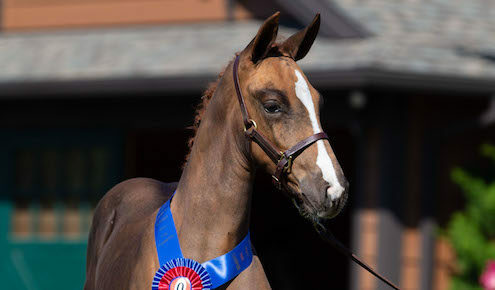 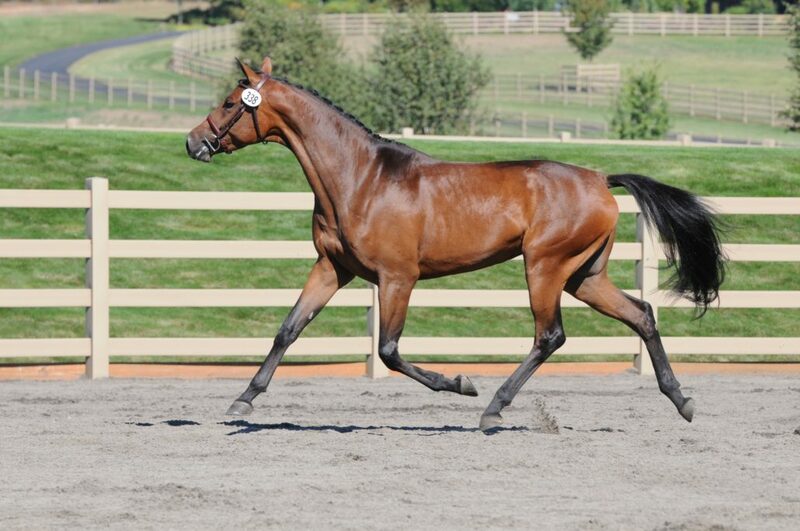 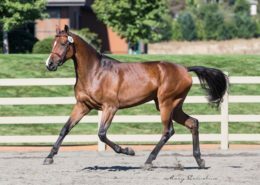 Felicity WT is sired by Singulord Joter, who jumped at 1.40m with Torben Köhlbrandt. Her mother Synphonie II (Acorado) produced the 1.45m jumping horse Coeur de Canturo (Canturo) with Benjamin Wulschner. 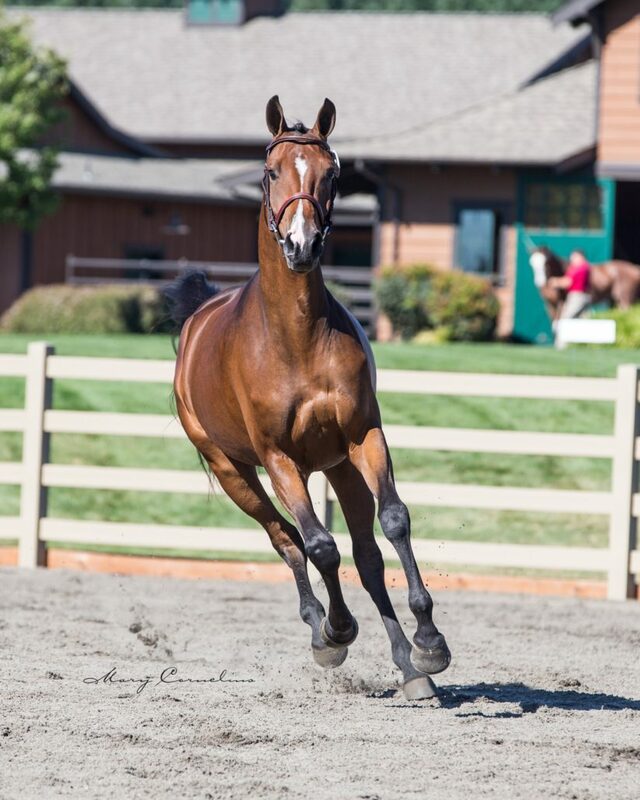 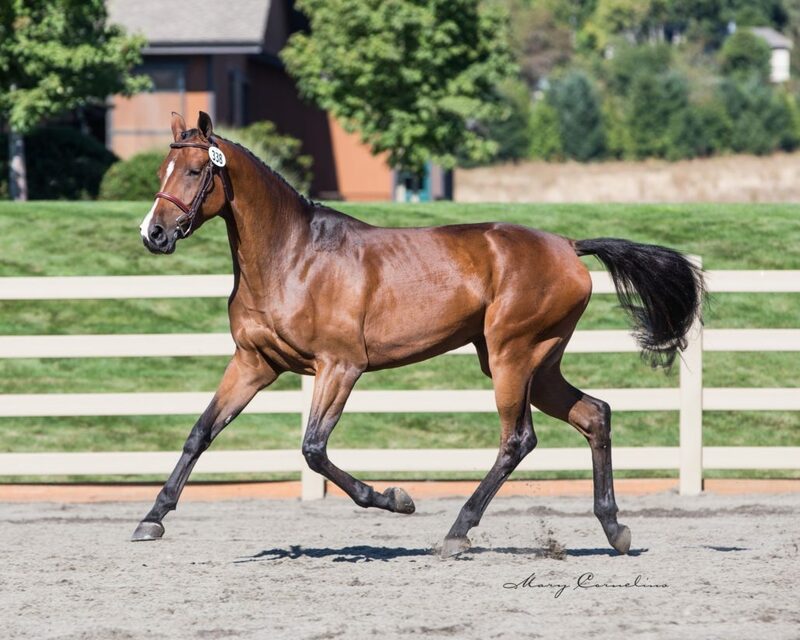 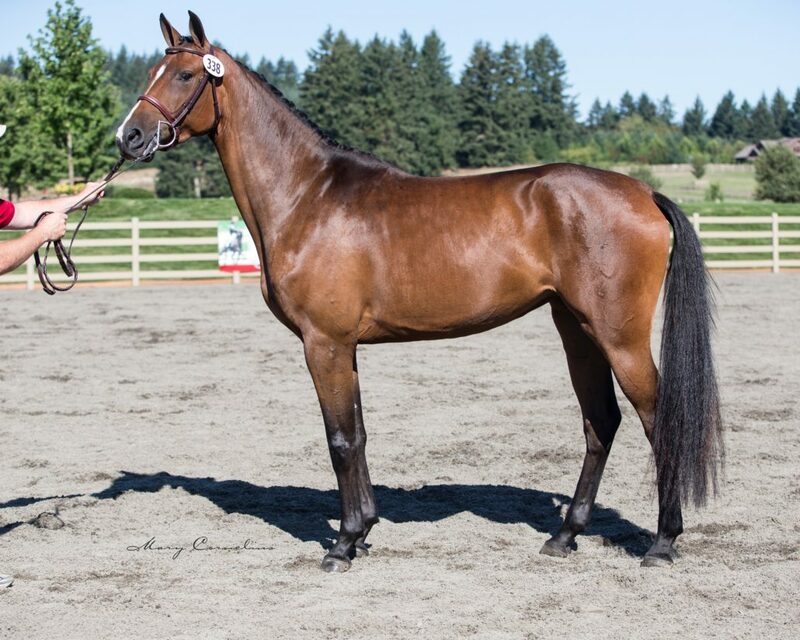 Her grandmother Deflorata II (Ramiro) is halfsister to Alamo (Acorado I) who is competing at 1.50m with Erin Davis-Heineking, she is full sister to Ralando (Ramiro) who jumped at 1.40m with Gerard Schaal. 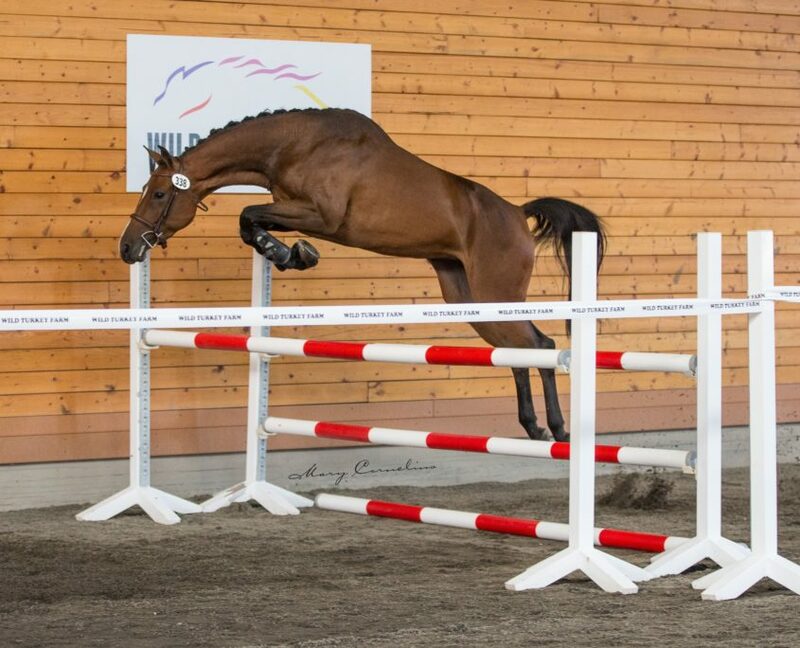 She is also halfsister to Colanda (Calando I) who produced VDL Groep Zidane (Heartbreaker) who is jumping at 1.60m with Leopold van Asten, HG Heartbeat (Heartbreaker) 1.55m with Fritz Kogelnig, Dante (Flipper d’Elle) 1.50m with Wim Vinckx and the halfsister Falanda II (Calando I) produced the Holsteiner approved and 1.40m jumping stallion Lentini (Lavaletto) with Herbert Ulonska and Holger Wulschner. 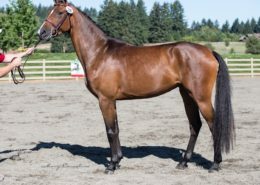 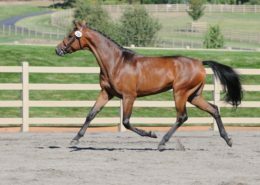 Another halfsister to Deflorata II is, Arizona by ETL (Acord II) she produced the 1.45m jumpinghorse Baloubet by ETL (Baloubet du Rouet) with Markus Saurugg. 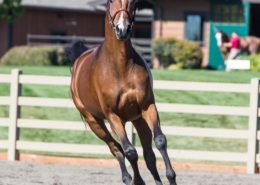 Her halfsister Herzhorn (Acord II) produced Sparco (Paramount) who jumped at 1.45m with Philippa Dobby and she produced Quin Air (Quintero) who jumped at 1.45m with Mario Stevens.